On Monday, February 9, 2015, I stepped inside Cheatham Street Warehouse for the first time in over 4 years to see my friend Dennis Jay play an acoustic set at Cheatham Street owner Kent Finlay's annual 29th birthday. One note about the night, Kent was not on hand because of ongoing medical issues related to a long battle with cancer, but he was watching a video feed. The place hadn't changed much, from what I hear it never really has. I truly love Cheatham Street, Kent Finlay and everything that this place stands for, but sadly I don't have a ton of free time to venture over to San Marcos to catch shows, visit Kent's Wednesday songwriter circle or watch Dustin Welch work with veterans on Monday evenings teaching them to play guitar and write songs, or any of the other incredibly cool things they have going on over there. 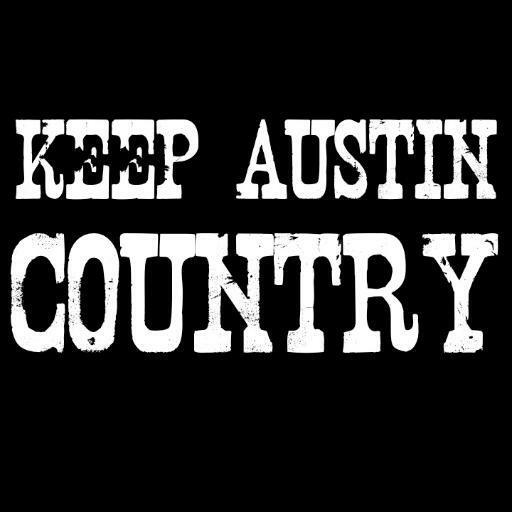 It's sad but true, when I have the time to catch a live show, I typically stay in New Braunfels since we have so many choices within our city limits on any day of the week or weekend. Cheatham Street Warehouse has one thing however, that New Braunfels does not, it has Kent Finlay. Kent has been supporting and helping songwriters of all skill levels at his warehouse on the tracks since 1974. There were times when Kent wasn't around because of other responsibilities including his own band "High Cotton Express", but for the largest part of the last 40 years Kent Finlay has been nurturing young talent and helping launch careers. One of the earliest and possibly most impressive careers that started at Cheatham Street, was when a young George Strait auditioned to fill an open lead singer position in a band called "Stoney Ridge" that was playing weekly at Cheatham Street back in 1975. Needless to say he got the job, and they debuted as "Ace In The Hole Band" on October 13, 1975 where they continued to play regular Wednesday nights at Cheatham Street Warehouse for nearly two years until the crowds that came to see them would no longer fit in the building. In 1977 Kent and George loaded up in the yellow Dodge van pictured above (click photo to see more) and headed to Nashville to record a demo, and the rest they say is history. Other notable artists that cut (or sharpened) their teeth at Cheatham Street Warehouse with guidance from Kent Finlay include Stevie Ray Vaughan, James McMurtry, Hal Ketchum, Al Barlow, Will Sexton, Charlie Sexton, Justin Trevino, John Arthur Martinez, Todd Snider, Terri Hendrix, Randy Rogers and many, many more! I am linking to some sites below. 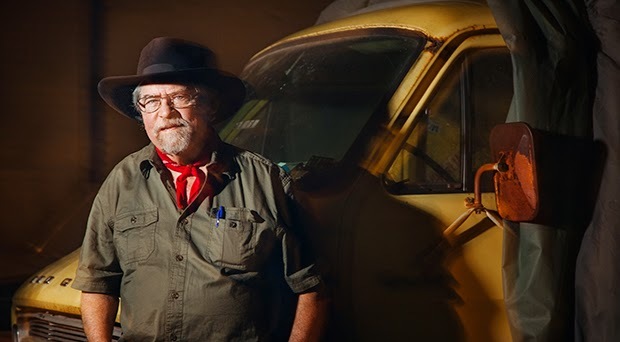 One is a Q&A with Kent around the time of his birthday in 2013 by Brad Rollins of the San Marcos Mercury; it's a GREAT resource for lots of trivia about the history of the songwriting in the Texas Hill Country which of course has spread like wildfire into New Braunfels and left behind a wonderful community that embraces live music and supports and nurtures a growing songwriter population, and it hasn't stopped growing. The other is the "history" page on Cheatham Street Warehouse's website. They both have lots of great history on Kent, Cheatham Street and many of the careers he launched. I leave you with this... Support live music, support the songwriters and go see them and quietly listen to them play their songs. You never know who might be the next Dean Dillon or even the next George Strait. 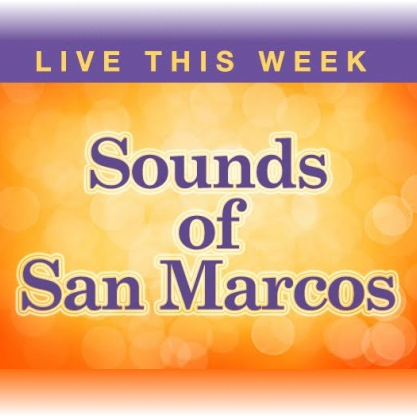 - Q&A: Kent Finlay on the birth of San Marcos Music by Brad Rollins, San Marcos Mercury.